Titan Oceanus, (or Okeanos), one of the pre-Olympian Gods or primeval deities, is the great earth-encircling river and font of all the earth's fresh-water: including rivers, wells, springs and rain-clouds. My Oceanus is made of water jet cut steel and is enamel painted an orange/cinnamon color. 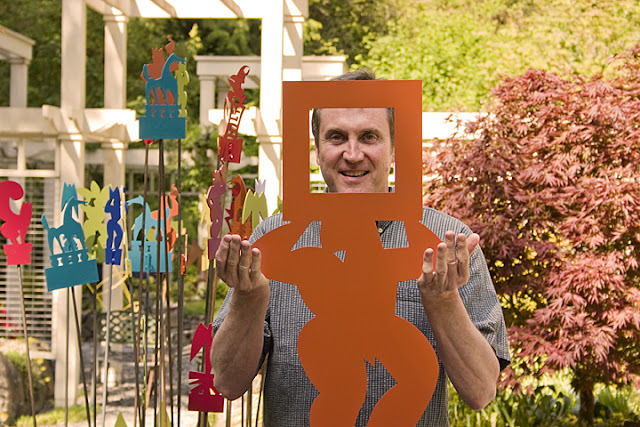 He is on exhibit in my studio garden with many other Threshold Guardians during the 2012 Spring Vashon Island Studio Tour, May 12 and 13.